Winter Blues are a troublesome, recurrent form of Major Depressive Disorder. Every year a select group of people seems to get a recurrent episode of Depression. These symptoms can start as early as age three or four and result in serious impairment. People do poorly in school; lose jobs and relationships as a result of having this disorder. The major occurrences of this disorder are in the winter months. A few people get recurrent episodes of depression every summer, fewer yet have spring or fall recurrences of depression. The winter version of this disorder is particularly problematic. We have a large number of theories about why this occurs and what the risk factors are for this disorder but so far treatments and prevention efforts are more hit and miss. If you have had episodes of Winter Blues you know the havoc it can play with your life. Technically Winter Blues are diagnosed as a variation of Major Depressive Disorder (MDD.) The specifier of seasonal features is added on to the principle diagnosis of MDD. Winter Blues is characterized by what is called “atypical” features. The easiest way to describe this is that the person begins to hibernate like an animal preparing for a long winter. 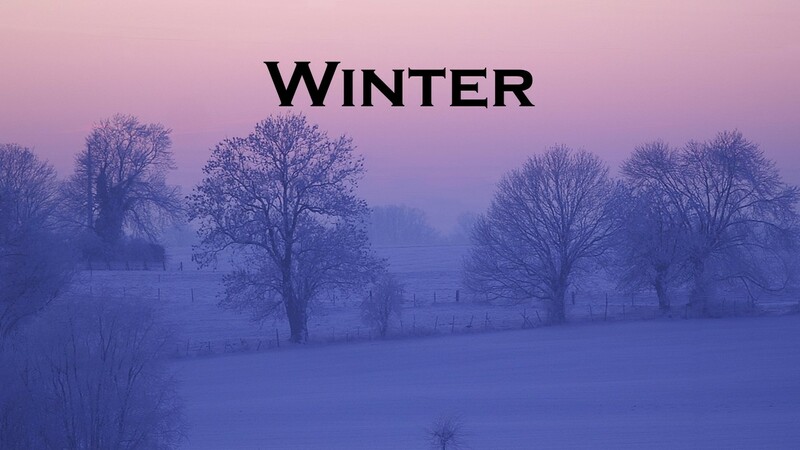 As winter approaches the person with Winter Blues begins to sleep more and more. They increase their food consumption and begin to put on weight. Carbohydrate Cravings are likely to become pronounced. The person with Winter Blues is also likely to avoid others and begin to isolate. Case studies tell us of a child who became so very different during the winter that for a time they thought this might be a developmental delay. His speech became difficult to understand and he appeared to stop learning. He was tested for autism and retardation. Then for no apparent reason, he began to function more normally as spring approached. Over subsequent years he regressed each winter and then “bloomed” again as spring returned. One early theory was that he was getting sick in the winter, a common occurrence for a child. But in the year he was sick in the summer and had fewer illnesses the following winter he still improved in ability over the summer and relapsed in the winter. Eventually, at about age 6, this child was diagnosed with a significant form of depression that grew worse each year. Another woman came for treatment one winter and reported that she was about to lose her job from poor job performance. She had repeatedly over the years done well each summer and received promotions, but in the winters she made mistakes, was disciplined and eventually at risk of losing her job. She was treated for MDD with seasonal features and responded well. Risk factors for Seasonal Affective Disorder. The amount of daylight affects mood. The farther north you live the fewer the hours of daylight in winter. Less light triggers the hibernation response. Some people have it more difficult than others. Genetics can increase your winter blues risk. This has been suggested as a factor. It has been a long time since I read much on genetics. If this interests you, I recommend you look it up and not take my fuzzy understanding as the whole story. Here is what one study seems to say. Variations in the 5-HTTLPR have been suggested as being a risk factor. Some people have long versions and some people have short versions of this gene. Some people inherit two short genes and other people have two long. One of each is also possible. People with two short genes are at extra risk for winter blues, people with two longs are more likely to have a melancholy form of depression. Eye color may be connected to seasonal affective disorder. People with blue eyes get more use out of the light. People with brown eyes have more difficulty in Northern latitudes in the winter. Thinking errors increase all kinds of depression. People who experience episodes of seasonal affective disorder are more likely to ruminate, assign negative meanings to things and look for the negative. Whatever the risk factor or the reason someone has recurrent episodes of depression with those seasonal features each winter, the good news is that there are treatments for this form of depression, just as there are treatments for most other mental and emotional disorders. If you find yourself getting depressed as the winter progresses you do not have to just suffer through it. Please reach out for help. Coming up soon a post on treatment and prevention of the winter blues. This entry was posted in Depression and tagged Counseling, Depression, major depressive disorder, Mental illness, Seasonal Affective, Seasonal Affective Disorder, Therapy, winter blues by David Joel Miller. Bookmark the permalink.